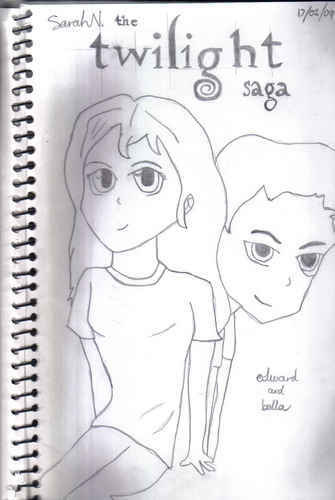 Edward and Bella-Manga. This is also from Dragoart.com I did the শিরোনাম myself. মতামত AND RATE PLZ!!!!. HD Wallpaper and background images in the Drawing club tagged: drawing image art anime sketches pencil drawings manga twilight saga. This is also from Dragoart.com I did the শিরোনাম myself. মতামত AND RATE PLZ!!! !